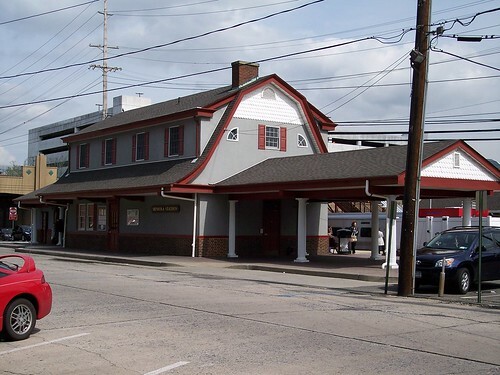 Mineola still has an old station building. 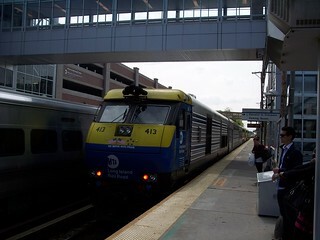 We ended our trip on the Oyster Bay Branch here. 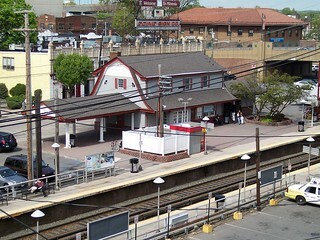 Another view of the station from the top of a nearby parking garage. Just east of the station the Oyster Bay Branch diverges to the left. 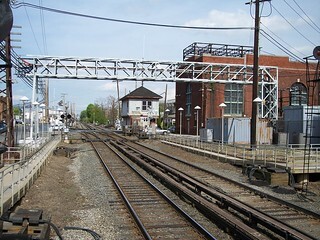 In the 1930s the West Hempstead Branch also diverged to the right, heading to Country Life Press and West Hempstead, but those tracks are now gone. 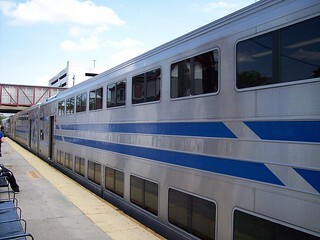 Our train from Oyster Bay.